After nearly a month away, the Pirelli World Challenge (PWC) GT and GTA Championships returned to competition this weekend at the Mid-Ohio Sports Car Course. 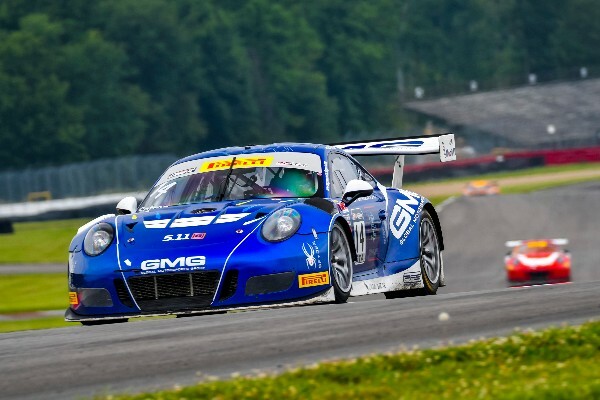 The Lexington, Ohio-area track has long been a place of strong performances for Porsche and Rounds 6 and 7 of North America’s premier sprint-format GT racing series offered several customer programs using the German marque’s GT3-specification entry reason to celebrate. Porsche scored one-two finishes in both rounds of the GT Amateur (GTA) category, a GT class pole position and a GT second and third-place result overall on Sunday. Porsche factory driver Patrick Long (Manhattan Beach, California) set fastest race lap in Saturday’s 50-minute race on the 2.258-mile, 13-turn track securing himself pole position for Sunday’s midday event. However, he was not able to hold-off Alvaro Parente (Portugal), Saturday’s race winner, and fell to second-place in the second corner. Despite a hard drive in the No. 58 Porsche Consulting 911 GT3 R entered by Wright Motorsports, North America’s only Porsche “works” driver was forced to settle for second-place. He was fifth on Saturday. Close behind Long was GT rookie driver Alec Udell (The Woodlands, Texas). Udell had a veteran’s start jumping from tenth on the grid to third-place before the race was five-minutes old. The 2016 GT Cup Champion and former Porsche Young Driver Academy graduate kept his No. 17 Euroworld Motorsports prepared by GMG 911 GT3 R in that position despite heavy pressure from behind. That gave Udell his first professional podium – he won the two opening rounds of the amateur GTA class at St. Petersburg earlier this season – as well as both the Hard Charger and Best Start Awards. All weekend the GTA battle was between class championship contenders James Sofronas (Villa Park, California) and Michael Schein (Glen Cove, New York). In both events, Sofronas drove the No. 14 GMG Porsche 911 GT3 R to the race win but not without constant pressure from Schein. The victories added to Sofronas’ lead in the GTA point standings but Schein continues to threaten in the No. 16 Wright Motorsports 911 GT3 R.
Long remains atop the PWC Overall Drivers’ Championship standings after nearest rival Parente won both 50-minute rounds at Mid-Ohio. The next two race weekends of PWC – held at Utah Motorsport Campus (August 11 – 13) and the Circuit of the Americas (September 1 – 3) – will be rounds of the SprintX Championship – 60-minute races with a two-driver format. 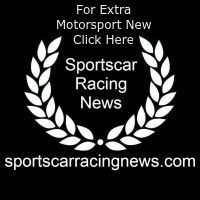 These events will decide not only the SprintX titles but count toward the overall championship before the final two rounds of the 2017 GT season is held at Sonoma Raceway on September 15 – 17. Patrick Long, Driver, No. 58 Porsche Consulting Wright Motorsports Porsche 911 GT3 R.
Alec Udell, Driver, No. 17 Euroworld Motorsports by GMG Porsche 911 GT3 R.
James Sofronas, Driver, No. 14 GMG Porsche 911 GT3 R.